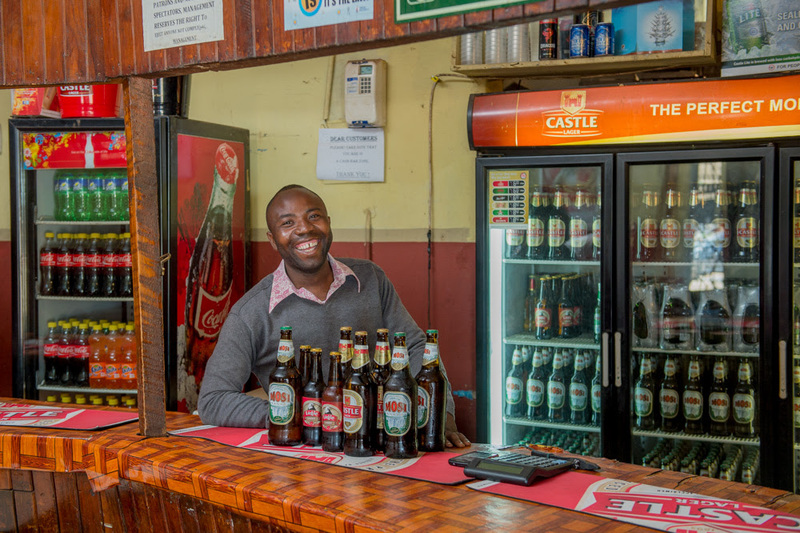 Zambian Breweries has reduced the price of its Mosi and Castle lager amid growing confidence in economic stability. The recommended retail price of a 375ml bottle of both lagers is now K7, reduced from K7.50. Zambian Breweries Country Director Annabelle Degroot said the cut in price of the nation’s favourite beers was a response to the improved inflation rate and several months of a stable exchange rate. She thanked and commended the Government for implementing measures to allow this level of stability. “In response to government’s efforts to maintain a stable business environment, we are committed to retaining the affordability of our products,” she said. Zambian Breweries expects the price reduction to encourage drinkers to move away from cheap illegally brewed high-alcohol beverages that pose a danger to public safety as well as denying government tax revenue. The Country Director explained that when beer prices drop, overall alcohol consumption does not increase but rather consumers tend to move away from cheaper higher alcohol options with an average ABV (alcohol by volume) of 43 percent, back into clear beer with an average ABV of 4.5 percent. This is an important driver of responsible alcohol consumption and government revenue collection. The decision is also aimed at stimulating volume growth, tax revenue growth and its associated positive impact on investment, agriculture and employment. Truly a country of drunkards…this headline news its no wonder we are wallowing in poverty and making Boers extremely rich. If only beer was food!! And thereby enabling more drunk driving…..thank you for ubusushi Zambian Breweries and for reducing the life span of Zambians. Sorry mwebantu i thought i was having a meeting with millers and grain traders, so that mealie meal prices can reduce, kanshi i was belegende it was Zambia breweries, yaba! Ama dizzy mutweleleko. Another round on my account! Jay jay i know you are dead broke. The only reason ZB is doing this is because of reduced demand. The purchasing power has eroded. Zambians have been squeezed and are now on their knees. The only option is to drink kachasu. That’s the only affordable alcohol. Its good for the economy. I think the price has been set by Market Forces Demand is lower. Few drink those two old brands having migrated to expensive foreign brands. Zambians have more pennies in their pockets these days, proof of economy improving. Those brands have tougher competition, selling them at a higher price is a loss to the breweries. Demand is reduced not because of migration to imported beers but because Zambians are financially squeezed. Zambians are reeling under a falling economy. The Kwacha is strengthening because people cannot afford to import anything these days. Oh wait a minute, even facts have alternative facts to counter them! Btw, how come I am inclined to believe Patriot (because I am also taking expensive foreign brands nowadays)? Keep them drunk, religious and illiterate then you will rule them. Hahahah! Celebrate, it is Victory for Consumer power!! Don’t even listen to the noise from the stu.pid Boers running Zambia Breweries! We Zambians have taught them a good lesson they will never forget. We stayed away from their overpriced beers, and their beer sales have been are going down! Literally from nowhere, Beer Director Annabelle Degroot, comes and starts lamenting like a Chainama patient Inflation, Stability, Taxes, alcohol volume 4.5 etc. Who needs all that sh.it Degroot! The fact is you were exploiting our away. Even the reduced price is still too high and gives you ridiculous profit margins – Ar.sewhore!! Zambia Breweries, the only industry in Zed that reacts to the purchasing value of our money. The only industry that obeys the open market dictates of supply and demand. The only industry in Zed interested in its customers. Hip Hip Hurray! Thats because they make a big killing from your drunkardness!! Don’t drink beer on an empty stomach. I wish this company was also in mealie meal business. They charge according to the situation. Kikikikikiki kikikikiki…that’s the only time you have remembered Jesus Christ, over a beer surely? You must be a serious drunk!…kikikikikiki kikikikiki…yaba! …..that’s definitely a wrong reason given the reality is that the sales have dramatically gone down especially on CB due to reveller’s economic woos…a few have migrated from ZB products to shakers and other cheap beers on the market…. Keep them drunk and introduce a boozing sport. No doubt Zambia will be World Champions! Zambian Brewereies you don’t need a muzungu director. Long overdue. Boers should train local talent to take over the directorship of the ZB Group in Zambia. A point in case is when an apprentice muzungu was given that role overlooking many local talent with better business and technical acumen. Lekani timwe ise tili na ndalama…bottoms up!!!!!!!!!!!!! Why not? Inferiority complex? Castle Lager here in Choma at Leelove is 10 bucks! You guys are broke kanshi! Are you a victim of retrenchment my sister, just asking?